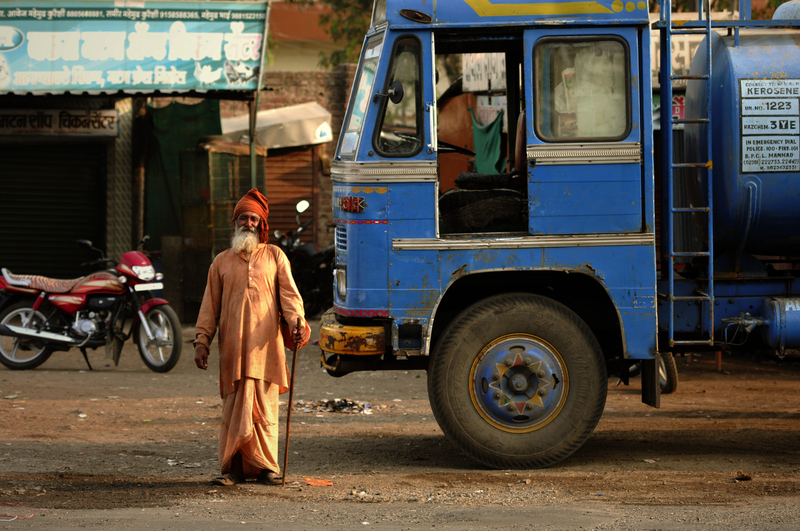 Man and truck, India submitted to ‘Wow! What an Adventure!’ on National Geographic. Kristian Bertel has contributed to the National Geographic Your Shot community with an assignment called ‘Wow! What an Adventure! Curated by Robbie Shone, a photographer for National Geographic, this assignment is about the feeling of an adventure. Photographs and photos that for this Your Shot assignment is named after the reaction he wants to have when he looking at our photos: “Wow! What an adventure!”. A saying that he has found himself saying this after a lot of his trips underground climbing caves as an Adventure travel. As Robbie is saying it: ”- So for this assignment, I invite you to share with us your own unique adventures. It doesn’t necessarily have to be an epic, swinging-on-a-rope-in-a-black-pit type of adventure. Maybe getting married or having children has been an adventure for you. Maybe you are the first person in your family to graduate from college. Maybe you have swum with dolphins or driven across the country on vacation. I look forward to going on this adventure with you…”, he says. In India, adventure tourism has grown in recent decades as tourists seek out-of-the-ordinary or “roads less traveled” vacations, but lack of a clear operational definition has hampered measurement of market size and growth. adventure travel may be any tourist activity that includes physical activity, a cultural exchange and connection with nature. The so-called adventure tourists may have the motivation to achieve mental states characterized as rush or flow, resulting from stepping outside their comfort zone and meeting new cultures as them in Maharashtra state of India. According to tradition, today’s Maharashtra was part of the Mauryan Empire. After the fall of the Mauryan, Maharashtra was ruled by various dynasties that all decisively shaped Maharashtra’s culture. The region was ruled by the Satavahanas, Vakatas, Rashtrakutas, Kalachuris, Chalukayas and Yadhavas. Many years ago, the Delhi Sultanate took over the rule and these sultans were overthrown by the Bahmani, who ruled until the end of the fifteenth century. Later in history brought the sudden rise of the Maraths, Hindu warriors from the area, who became strong power under the rule of Shivaji. The victory of Peshwas over Shivaji put an end to his reign and went hand in hand with the formation of a Maratha Empire that extended from Gwalior in the north to the south to Tanjore. In the eighteenth century, Maharashtra became part of the Bombay Presidency under British rule. In 1960, Gujarat and Maharashtra were separated and Maharashtra received the status of a state. An alternative theory states that the Maharasthra term actually derives from the word Maha, which mean “great” and Rashtra, which means “nation and dominion”. However, this theory is somewhat controversial among modern scholars who believe it to be the Sanskritised interpretation of later writers. ”- Even today, in Maharashtra, remains of more than 2,000 years ago are found, untouched and free of weathering. There are approximately 175 fortresses in the state of Maharashtra. Almost all of them are located on a subsoil of eroded lava and were built along the Sahyadri and Satpura mountains. One of the most famous fortresses is located on the coast near Murud-Janjira. It is an island fortress that belonged to the Siddis of Abyssinia. Despite repeated attempts failed the Portuguese, British and the Marathas to take the fortress”, the photographer Kristian Bertel says.